Which MLB Hitter are you? Take the Quiz to find out! 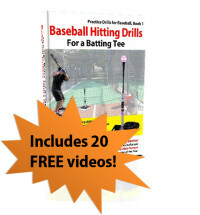 Are you breaking too many bats? This page has a bat buying guide and overview of the best metal bats on the market. (If you think one should be added to the list, feel free to comment below). 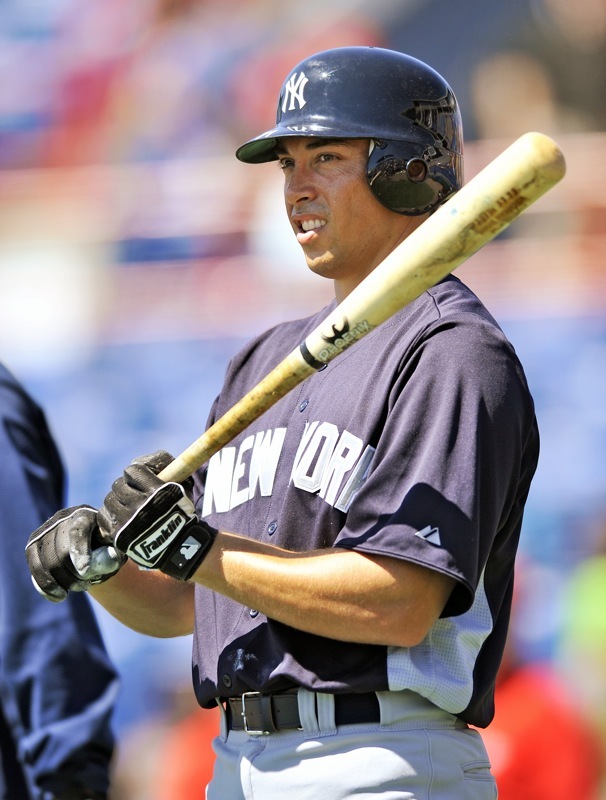 All BBCOR aluminum or composite bats should not be more than 3 ounces lighter than the length of the bat, or “drop 3”. (ie. 34 inches / 31 ounces; 33 inches / 30 ounces). Outside of that, for younger kids, you can get a drop 10, or drop 5. It’s personal preference based on the size, age, strength and hitting style of the kid. 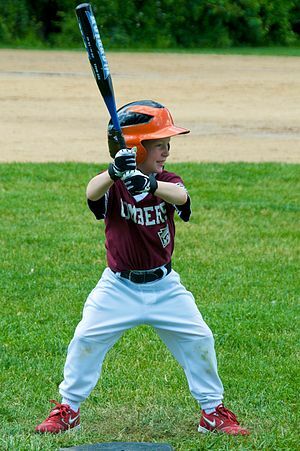 Usually the players that are bigger and stronger prefer a heavier bat for maximum power, while a lighter bat can maximize bat speed for smaller players. It may take some time, and trying a few different bats, before you discover which weight works best for you. For more guidance on selecting the right size bat by age and player height/weight, I highly recommend checking out this helpful resource. It includes helpful charts and images to make selecting the right metal bat for the players age and size much easier. Science to the rescue – Additionally, you can get very scientific about your bat selection if you use a bat sensor like the Swing Tracker from Diamond Kinetics which has a Max Force measurement which combines the effect of the bat’s weight with the speed you’re able to generate to find out which combination of the two is giving you the best results. There are several different types of metal bats. Composite bats get better with use. The more you use it the more it compresses and the better the bat becomes. Composite bats can be used if they are BBCOR certified. The price tag on these bats is a little higher, and they take longer to break in, but from many accounts, the end result is worth it. IMPORTANT: To get the most out of your composite bat, the break in period is essential. Hitting 200 to 300 real baseballs all around the barrel is recommended. All metal bats have regulations where the exit speed of a baseball can’t exceed a certain speed. All companies get as close to that speed as possible, so from that aspect all bats are similar. One piece bats are starting to get overtaken by the two piece bats. The one piece will not give you the whip that you can create with the two piece. However, if you are swinging a maple wood bat in practice and are comfortable with that, the one piece aluminum may be the closest feel to the maple bat. Also, believers in the one piece bat feel the trampoline effect of the ball coming off of the barrel is better than with the two piece. The two piece bats have a little more flex in the handle giving the bat a little extra whip, which may help with your bat speed. Composite bats. Some of the best metal bats are composite. Composite bats that were previously banned can be used if they are BBCOR certified. The BBCOR certification process has the ABI (Accelerated Break-In Test), which takes into account how the composites get better with use. BBCOR certification. All aluminum or composite bats need to be BBCOR (Batted Ball Coefficient of Restitution) certified for use in college or high school baseball (NCAA, NFHS, USSSA and Pony Leagues). A stamp will be found somewhere on the barrel of the bat. BESR (Ball Exit Speed Ratio) was the certification process that aluminum and composite bats previously used. It has been eliminated because it failed to account for how bats would perform after they were broken in. Composite bats get better and stronger with use. Just FYI, there was a significant difference in the first BBCOR bats from the old BESR bats. Balls weren’t coming off the barrel as hard or as fast, leading to fewer homeruns. However, there may be less of a noticeable difference in the newer BBCOR bats. 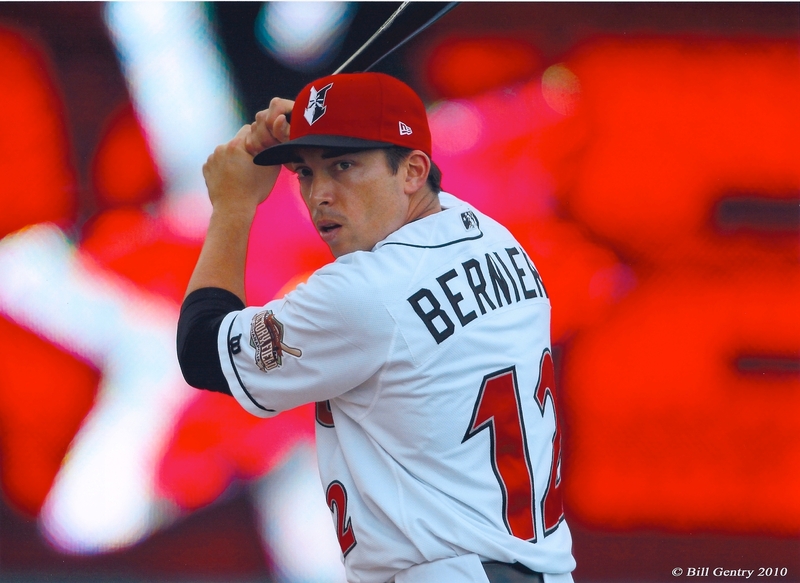 Here is a quick rundown on the major players in the metal bats world. Easton Bats – Easton’s two piece bat comes in two different models, the XL barrel and the fast barrel (adult or youth ). The XL (extra long) barrel gives you a larger hitting area on the bat. Marucci Bats – Marucci bats have a balance similar to wood bats. DeMarini Bats – DeMarini bats burst on the scene really strong about 10 years ago and they are consistently becoming one of the most trusted bats around. Rip-It – Rip-It is a bat company that has been coming on strong for a while now. And we tip our hats to them for giving you 30 days to try any of their bats and if you don’t like it you can send it back for a refund. With the cost of the aluminum and composite bats today it is nice to test a bat out before you have to keep it. COMbat – We’re giving COMbat an honorable mention due to reader request. 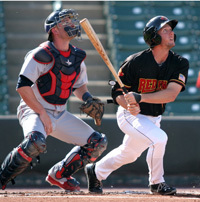 Combat consider themselves at the forefront of technology in the best metal and composite baseball bats. 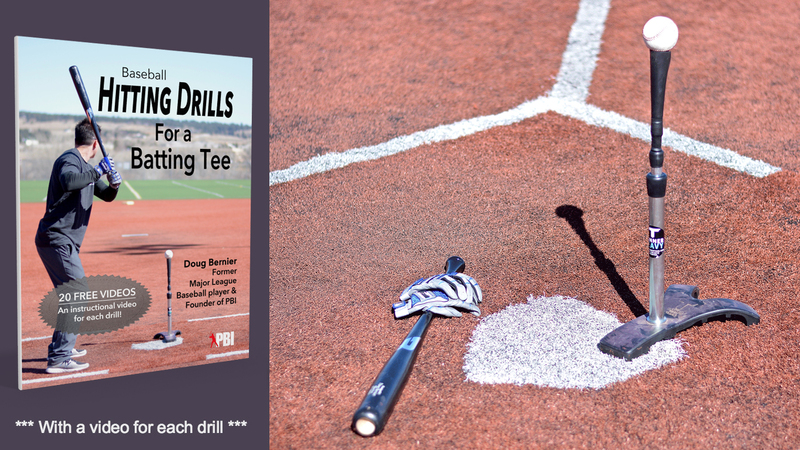 Perfect your swing with these 20 batting tee drills from a Major League baseball player. Click for more info. With the original composite bats the walls were so thin that they would dent in cold weather. The technology and materials today are much better than the first composites… That being said whenever you purchase a performance bat you it is like buying a racecar. They do break, bend and generally do not hold up as well as a thicker walled, but not as “hot bat”. Rolling or shaving will increase this problem. Most bat companies have warranties and it is a good practice to read them very closely. I like this article a lot but you did forget to mention one key bat brand, COMbat. I have a B3 gear right now so I can use it in little league and travel team. I used a Demarini Voodoo 2010 and I had two problems with it, the barrel was short and the paint chipped. Was this common with the metal bats that you used? One more thing is that when you have a composite bat I heard that you are supposed to keep it in a warm area and not use it in cold weather because it does not perform as well. Is this true? February 12, 2019 0 Which MLB Hitter are you? Take the Quiz to find out! Our passion is to help baseball players maximize their potential. We hope to keep all or most of the info on PBI free so that everyone can have access to it. How we keep it free. We support the site through affiliate relationships with baseball retailers. That means if you click on any link on our site that takes you to an online store, they'll give us a small commission on whatever you buy in the next couple weeks. We like this model because it doesn't cost YOU anything extra at all, and it allows us to keep offering much of our content for FREE. Help us keep it free. So, next time you need to buy something online, we hope you'll click through our website first! Disclaimer: This website is not sponsored by or affiliated Major League Baseball. All opinions expressed on this website belong solely to the individual and are not those of the organization they played or worked for or of Major League Baseball. Unauthorized use and/or duplication of this material without express and written permission from this blog’s author and/or owner is strictly prohibited. Excerpts and links may be used, provided that full and clear credit is given to Pro Baseball Insider with appropriate and specific direction to the original content.